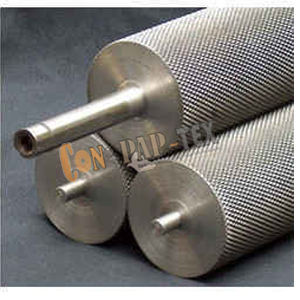 Conpaptex Equipments Manufactures wide range of Knurling Rolls. Available in different type, Sizes and capacity for different application in the Industries. The Knurling Rollers are widely used for its durability, reliability, corrosion resistance, moisture resistance, etc. Knurling Rollers are known as Brush Rollers also and used in Construction, Printing Machines, Rubber Industries, etc.